Escape routes for untold ballads, unsung notes, and unbearable wound. Basically, this blog is written to answer those topics. Did you really get jealous back then? When I asked your colleague instead of asking you when you were there? Your prejudice is your own making and I have nothing to blame. And now, you know the answer. Gone might be the right word but in some cases, it isn’t. Choosing to disappear bears too many consequences and if after all of these, reappear is inevitable, questions might demand answers. The mists contain different realities and thus provide different answers for same question. Once one begins a journey into the mists, foothold from where one came would consequently become irrelevant. Brain would immediately start different constructs for different realities. Eyes would see past, present, and future. One is in every place imaginable and yet no where at the same time. Once again, gone might be right word for anyone who has gone into the mists. Even if they come back someday, those – who has ventured into the mists and come back – are not ones you think you have known for a long time. Is that really the question? One would normally thought that world is divided into three colors; black, grey, and white. Some would consider two; black and white without things in between. During the journey one has been through, one eventually came across a type of figure whom possess ability to convey message with subtle opportunity to bend the message to one’s will. Once the message is conveyed, one would be still in control and at times could change the message without the listener questioning the integrity of the message. Because everything about it is true and being false is just another perspective. Where is the binary files stored in Linux? There is a command we are all familiar to use, such as these. When using sudo, is the application installed on currently active user only, or is it usable by other users as well? After looking around, the binary is found under /usr/share instead of /home. I know this is stupid but as someone who rarely use Linux unless it is absolutely emergency, I couldn’t help it. It is revealed to me that if I want to configure my own environment, I have to create my own application folder structure. i.e. Application under /home/<username>/ and then later download every package I need and put them all on PATH. After that, I need to figure out how to make my PATH automatically set every time I start my computer. Seems a lot of work. 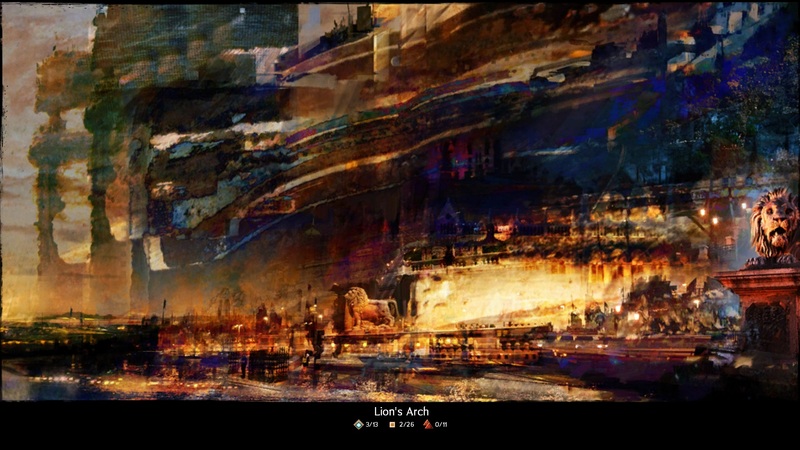 Welcome to Lion’s Arch. It’s been a while since the city was last visited. Wonder what to do this time. When experiencing changes, one must remember which basic law applied to the structure, such as below. The same thing may apply in social structure. i.e. One would expect to see the tendency of how things move inside the structure. A single mistake might sincerely abort the whole system altogether. Since time immemorial certain group of people would gladly decide things without even a single concern of how the others behave and their idea of how things would benefit them. Then when things go south, who gets the blame? In response to Motion in text.